Cherries and rich milk chocolate have come together, and the result is delightful! 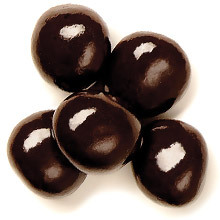 You will not be able to resist these rich, juicy dried cherries covered in a sugar-free cherry flavored milk chocolate. Price quoted is per pound, not including shipping.